Up to a million dead fish were found floating last week in the Darling River in western New South Wales state and the state government announced that 1,800 more rotting fish had since been found in Lake Hume in the state's south. Canberra: An Australian state government on Tuesday announced plans to mechanically pump oxygen into lakes and rivers after hundreds of thousands of fish have died in heatwave conditions. 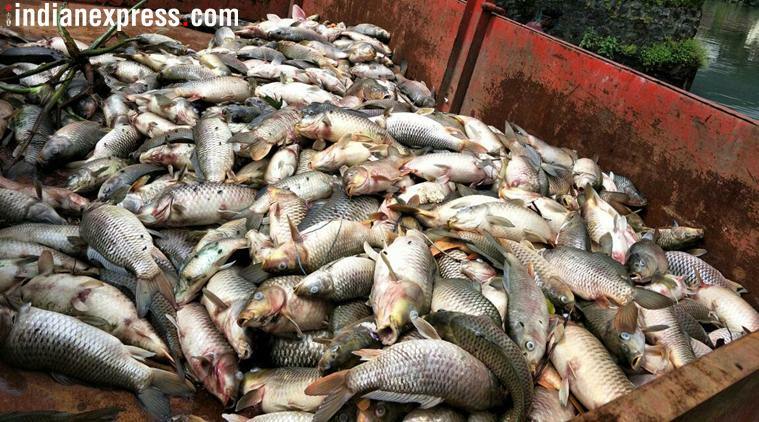 Up to a million dead fish were found floating last week in the Darling River in western New South Wales state and the state government announced that 1,800 more rotting fish had since been found in Lake Hume in the state’s south. Minister for Regional Water Niall Blair said 16 battery-powered aerators had been bought and would be placed in various drought-affected waterways after they are delivered by Wednesday. “They are a Band-Aid solution; we admit that,”’ Blair told reporters. “Nothing will stop this fish kill unless we get proper river flows and water levels in our dams back up to normal. We are doing everything we can to try and limit the damage,” he added. Experts blame heatwave conditions across much of Australia, drought and algal blooms for starving waterways of oxygen. Blair rejected some criticisms that governments were allowing irrigators to take too much water from the Murray-Darling Basin, Australia’s main river system, which winds across four states and is where a third of the nation’s food is produced. Water experts were meeting in Canberra on Tuesday to decide how the nation should respond to the water quality crisis. Australian National University water expert Daniel Connell said many more fish would likely die with heatwave conditions forecast to continue until the weekend. “It’s a very predictable crisis,” Connell said. Connell said taking water from the system to irrigate had likely contributed to the poor water quality in rivers as well as the drought which is impacting most of New South Wales. “By massively reducing the amount of water in the system, you produce much hotter water, you produce conditions that are much more conducive to algal blooms,” he said.